Local “Siouxlebrities” compete against 4th graders from the Sioux City Community School District and find out ARE YOU SMARTER THAN OUR 4th GRADERS? This adults-only fundraising event will support the Sioux City Public Schools Foundation and programs across the Sioux City Community School District. 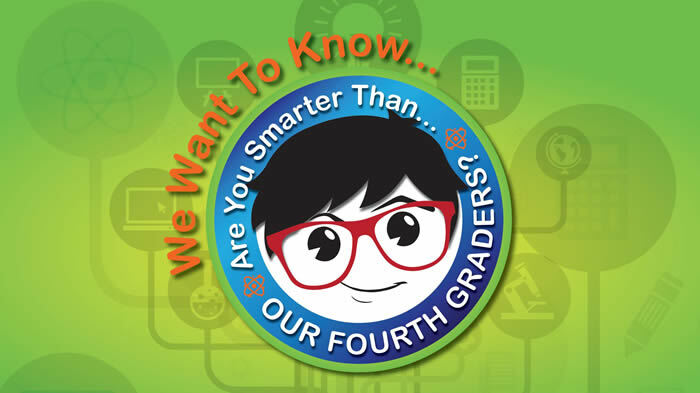 Join us Friday, April 12, 2019 from 6:00 - 9:00 p.m. for a social hour, dinner, and the ARE YOU SMARTER THAN OUR 4th GRADERS? Game Show at the Delta Conference Center in South Sioux City. Tickets are on sale now! For sponsorship opportunities, please email dreyc@scpsf.org.